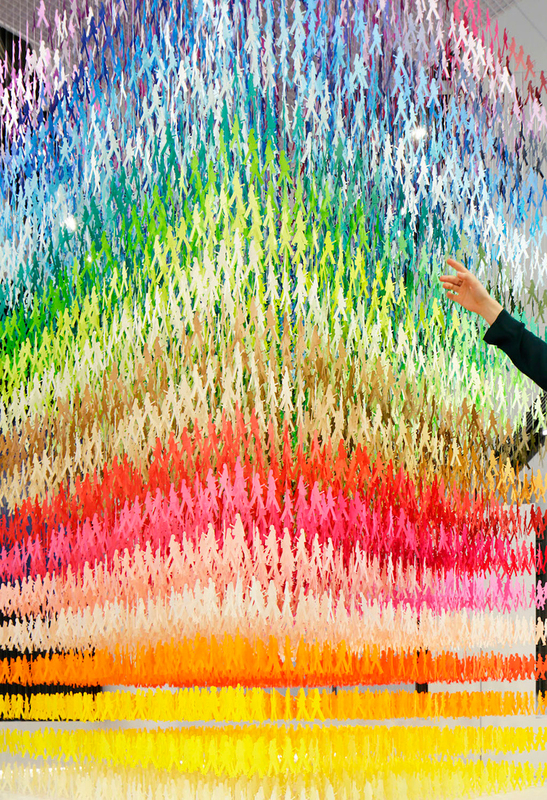 emmanuelle moureaux uses centimeter-level measurement accuracy of the quasi-zenith satellite system (QZSS) as a motif in her latest paper art installation. 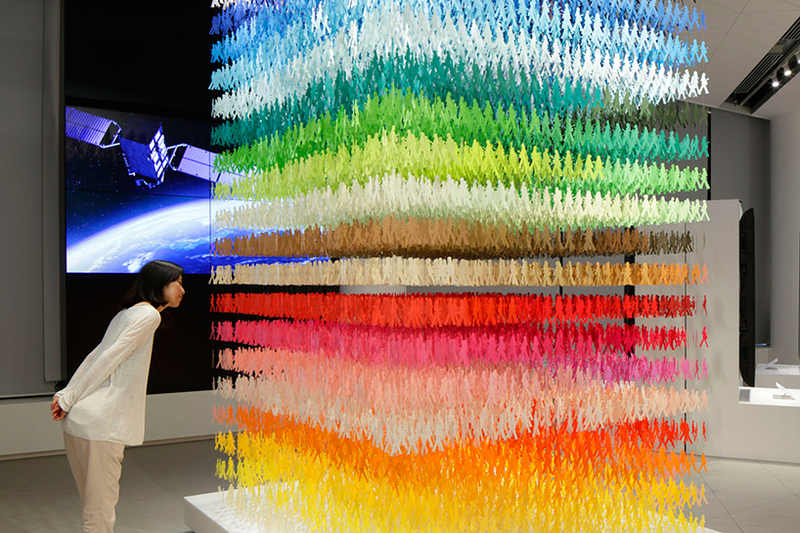 from approximately 40,000 kilometers in space, the QZSS is able to measure a person’s position to an accuracy of centimeters, increasing the availability of GPS in japan. 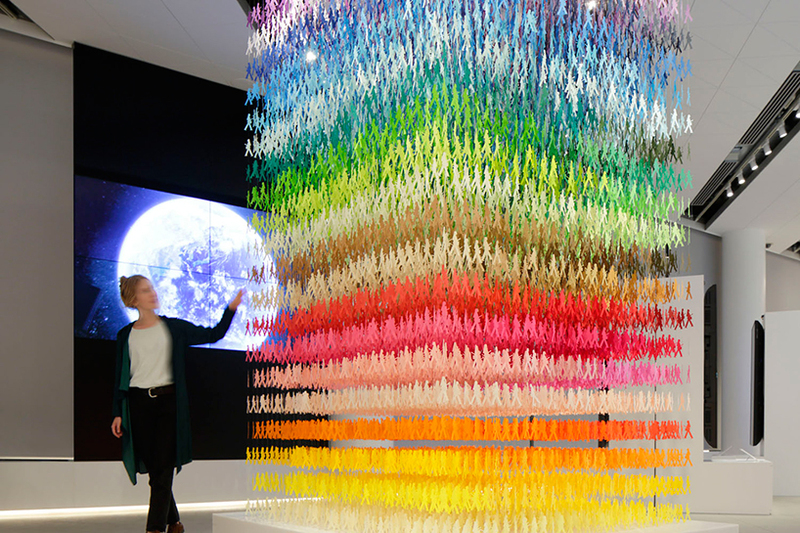 the french artist adopts elements from this proposed satellite-based augmentation system to create an interactive installation that gives shape to high-precision technologies in a vibrant and visual form. 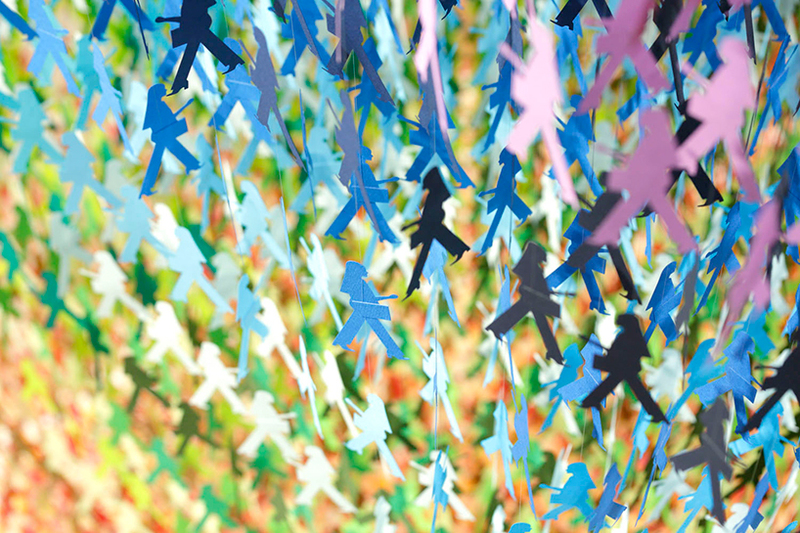 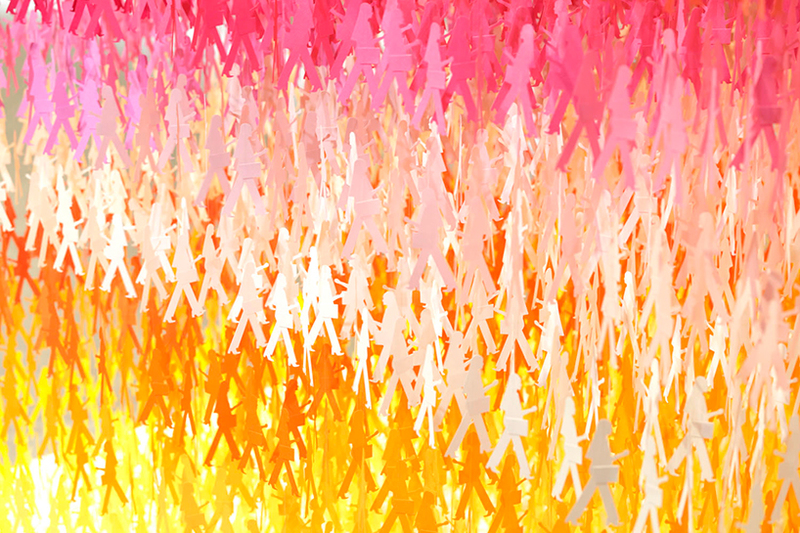 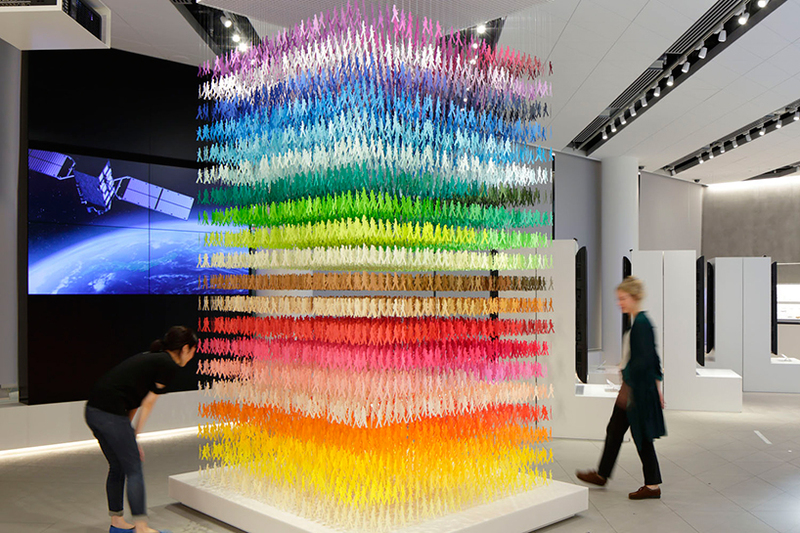 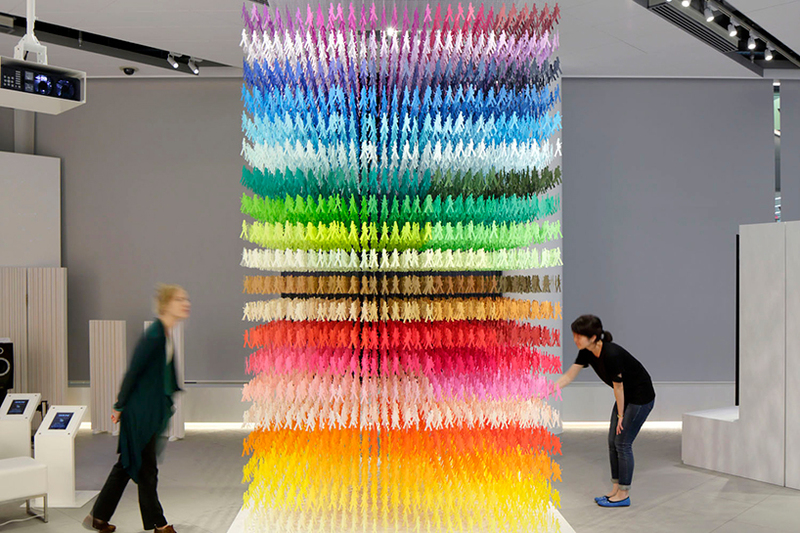 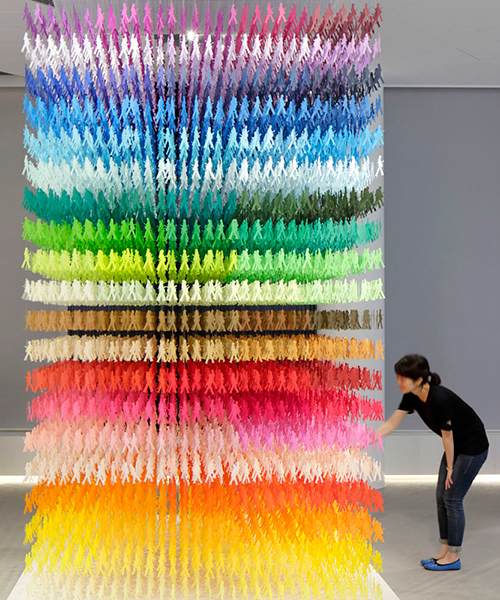 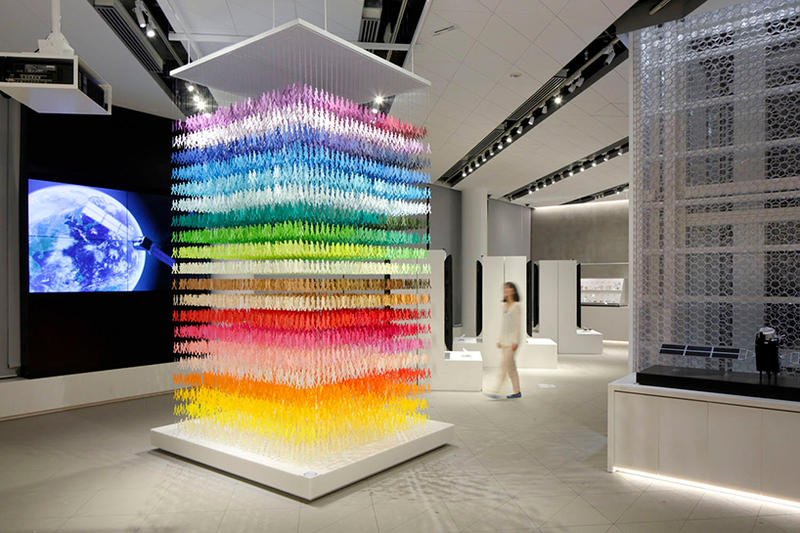 presented for the exhibition ‘space in ginza’ at METoA in tokyu plaza ginza, moureaux’s ‘I am here’ comprises the silhouettes of 18,000 women in 100 different colors. 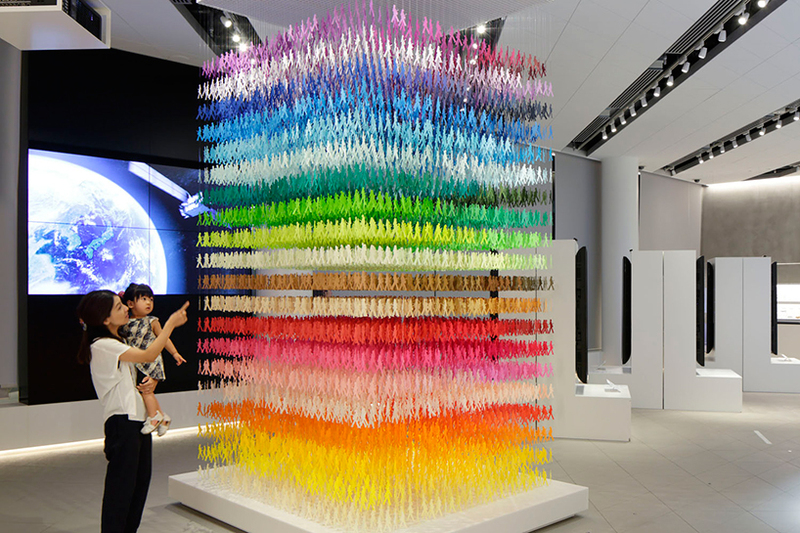 these paper pieces express the non-stop flow of pedestrians that occupy the bustling district of japan. 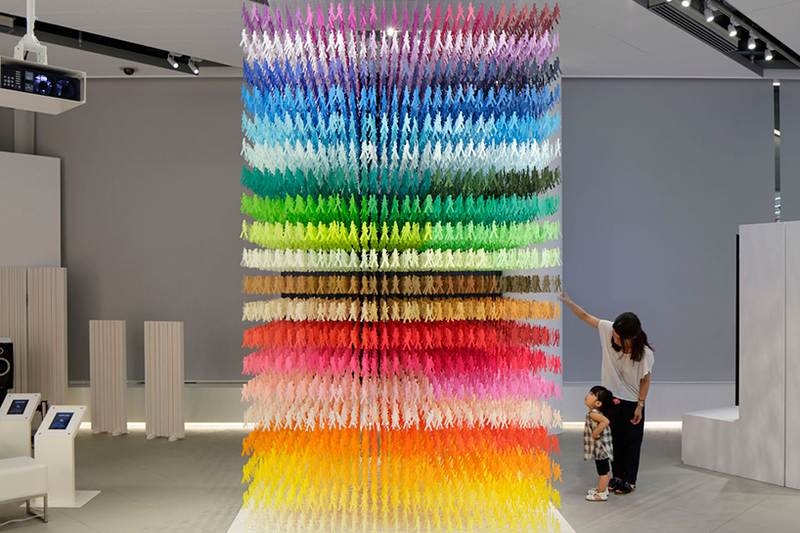 seemingly lost within the vibrant mass of paper people are three silhouettes — two girls and one cat — encouraging visitors to seek them out within the many layers of the installation. 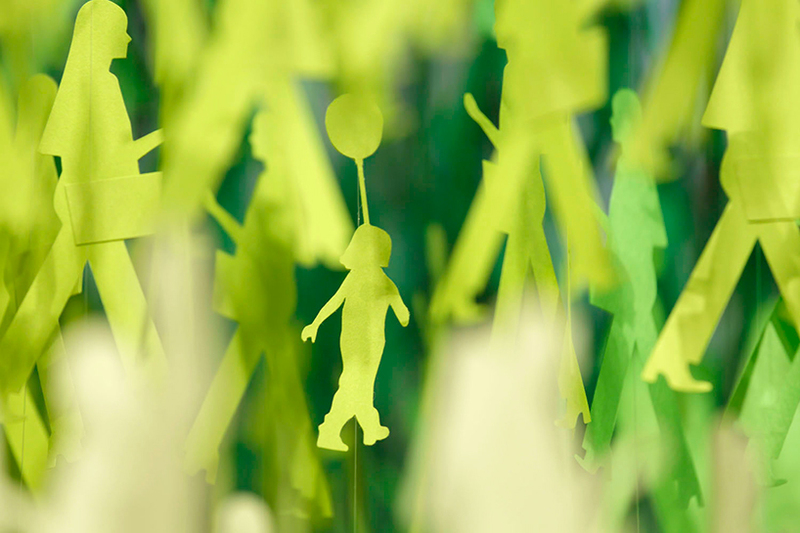 just like looking for the ‘lost’ silhouettes in the crowd, the installation serves a reminder for visitors to rethink where they belong.